Obituary for Harold P. Shaffer | Hile-Best Funeral Home, Inc.
Harold Paul Shaffer, 85, of Rockland, went to be with the Lord on Tuesday morning, October 2, 2018 at Sugar Creek Station in Franklin. He was born in Seneca on March 25, 1933 to the late Loren and Florence (Tuttle) Shaffer. Harold attended Cranberry Schools. Always one to forge his own path, he left home at age 16 to begin his new life. He made it as far as Grove City before his car broke down, where he worked at Cooper Bessemer. 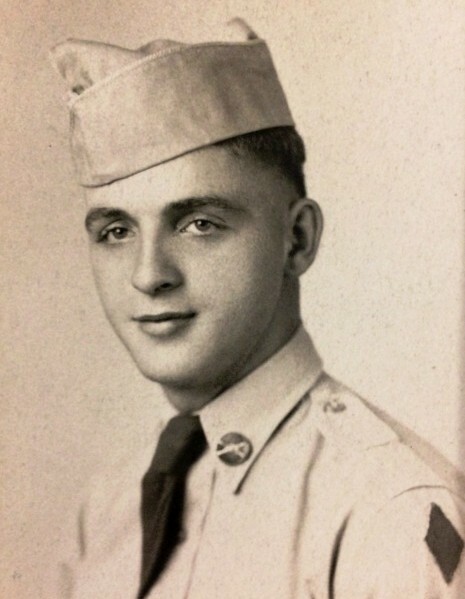 At 17, he enlisted in the U.S. Army and served during the Korean War from 1950 through 1953, sustaining several combat related injuries. He was the recipient of the Purple Heart and several medals of recognition for his valor and commitment to his country. He was married in New Mexico on March 21, 1974 to the former Manuela C. Casteneda, and she survives. Mr. Shaffer attended Rockland United Methodist Church. He was self-employed for many years as the owner and operator of Texas Truck Parts. Harold enjoyed hunting, fishing, old cars, traveling, horses, and the companionship of his family and grandchildren. He also enjoyed a good argument and could be found sitting on the front porch talking with anyone who would listen or debate any issue, even if it was with his favorite dog, Ebony. He was an avid Dallas Cowboys fan and loved watching football. He also loved sharing the word and love of God and ministered to many from his recliner. Also surviving are five children: Evelyn Serafin and her husband Rudy of El Paso, Texas, Daniel Shaffer and his wife Carmen of Omaha, Nebraska, Vera Campbell and her husband Will of Kennerdell, Scott Shaffer and his wife Kate of Rockland, and Matthew Shaffer of Sacramento, California; seven grandchildren: Raymond Carreon, Lisa Fowler, Casey and Colten Campbell, Sam and Anna Shaffer, and Maya Shaffer; three great-grandchildren; two sisters, Marjorie Daugherty and her husband Roy of Seneca, and Gloria Brink and her husband Paul of Warren, PA; and numerous nieces and nephews. In addition to his parents, he was preceded in death by an infant sister, Carol Shaffer; and five brothers, Ron, Charles, Robert (Morley), Scott, and Ken Shaffer. Visitation will be held Thursday (Oct. 4) from 1-3 and 6-8 p.m. in Hile-Best Funeral Home, 2781 Rte. 257 in Seneca, Cranberry Township. Additional visitation will be held Friday (Oct. 5) from 10 - 10:45 a.m. in the Rockland United Methodist Church, 4357 Kennerdell Road, where the funeral service will follow Friday at 11 a.m. with Rev. James Kimmel, church pastor, officiating. The V.E.T.S. Honor Guard will accord full military honors at the church following the funeral service. The family would like to extend a special thank you to Harold's caretakers at Sugar Creek Station, 600 hall. Memorial contributions may be made to the Rockland U.M. Church, 4357 Kennerdell Road, Kennerdell, PA 16374; or to the V.E.T.S. Honor Guard, P.O. Box 137, Franklin, PA 16323.